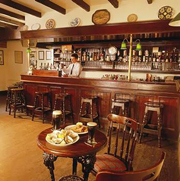 Welcome to Butler Arms Hotel one of Ireland's best known family-run hotels, treasured by its many guests over the years by its air of luxury combined with a welcoming and homely atmosphere. Situated midway around the Ring Of Kerry, Waterville (An Coireán) "The Little Whirlpool" is the premier coastal tourist centre of South West Kerry and has welcomed many celebrities over the years such as Walt Disney, Charlie Chaplin and family, Bob Hope, Michael Douglas and Katherine Zeta Jones as well as sporting legends Tiger Woods, the late Payne Stewart and Dan Marino, all attracted by its beauty and various amenities. Many professional golfers have played at Waterville Golf Links 18 hole championship golf course; these include Dan Marino, Tiger Woods, and the late Payne Stewart who was honorary captain in 1999. Waterville Golf Links is a 7,309-yard par 72 course. 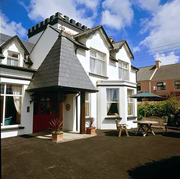 The Butler Arms is an ideal location to visit and play other South West Ireland’s golf courses. These include Skellig Bay, Dooks, Ring of Kerry, Killarney, Tralee, Dingle and The Old Head in Kinsale. Choose from a range individually decorated rooms with your comfort in mind from intimate exclusive seaview rooms to 12 recently built luxury Junior suites. All rooms are impeccably furnished to be your comfortable home from home, and the stunning views from your window will provide an ever-changing vista of ocean, land and sky bathed in subtly-shifting light. - Superior Room features include; queen size bed /twin bed, ensuite - shower & bath, heated bathroom floors, hair dryer, separate seating area, direct dial phone, TV, sound-proof windows. 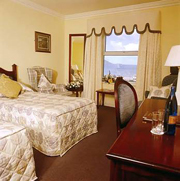 - Family Rooms: large room with queen size bed & single bed, camp bed option. - Deluxe Junior Suites Seaview Deluxe Junior Suites Junior Suite features include;king size bed, ensuite, de-mister bathroom mirrors, heated bathroom floors, twin sinks, large bath, large separate shower, robes, seating area with couch, Gas fire, sound-proof windows. The Fishermen's Restaurant awarded 1 Red Rosettes by the AA for excellent cuisine offers a varied menus specialising in a variety of fresh seafood and locally sourced meat complemented by an excellent wine list.